Click below to hear Rick Macci explain how, working with Dr. Brian Gordon, he has revolutionized his world famous player development program at the Rick Macci Academy in Boca Raton, Florida. Find out what 3D research teaches us about developing world class preparation and the magic secret of the outside move on the backswing. 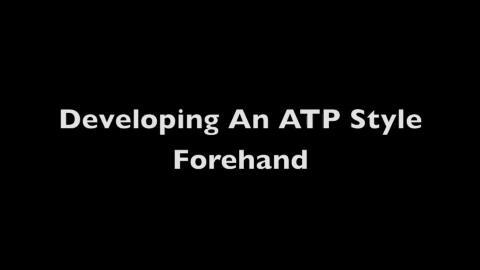 Learn how to develop more racket speed with less motion, regardless of age or ability! Click Here to Read More About The Theory Behind This Amazing Research and Teaching System! Rick Macci has coached some of the greatest players in the modern game during their critical, formative years. He is widely regarded as one the world's top developmental coaches. Rick and his staff have shaped the strokes of Jennifer Capriati, Venus and Serena Williams, Andy Roddick, and dozens of other successful tour players. In the last 30 years, Macci students have won 134 USTA national junior championships, and have been awarded over 4 million dollars in college scholarships. Rick is a USPTA Master Pro and a member of the USPTA Florida Hall of Fame. The Rick Macci Academy is located in Boca Raton, Florida at the beautiful Boca Logo Country Club, where Rick works in collaboration with Dr. Brian Gordon in implementing their new world class training system.